I can’t quite believe it’s half term already. The last few weeks have flown by, but we are all very much in need of a break, so I’ve planned a few exciting days out but also lots of down time at home as well. 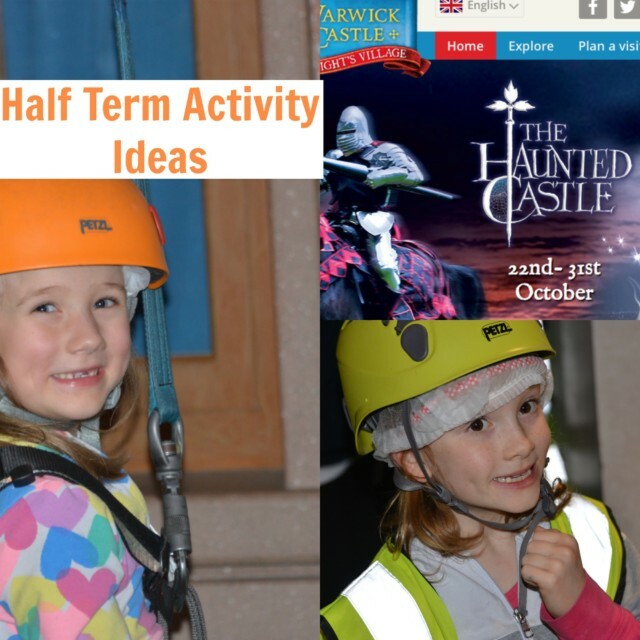 These are our top picks for this half term. 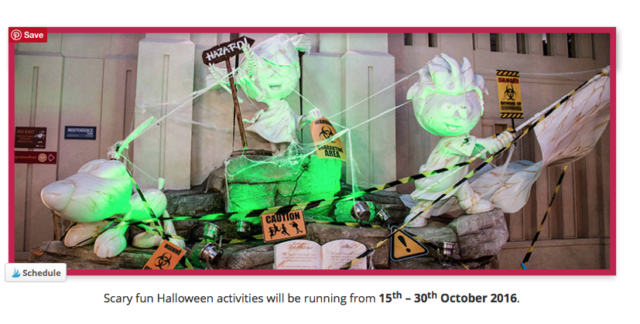 You can see our full KidZania Review here. Warwick Castle has been turned into a Haunted Castle for Halloween this year and we can’t wait to see the six new adventures, including a Horrible Histories Haunted Maze, stories and spells in the witches tower and a magical garden with hidden secrets. There are also action packed shows set to get the adrenalin pumping including the Trebuchet Fireball Spectacular and the ferocious Halloween Fire Joust. Over in the Central Courtyard, children can help the evil witches of Warwick conjure up spells in The Witches’ Tower (the Princesses have been evicted!). Little witches and wizards will delight in the all-new spellbinding story packed full of magic, witchcraft and sorcery. At 5pm, once it gets dark the Central Courtyard falls silent for the arrival of the plague doctor, brought in to treat the grotesque, plague-ridden souls in Outbreak 1349. My children all learned about the plague in school last year, so I’m really looking forward to this live actor experience and can’t wait to see their reactions! For over 10s there are special live action shows and special effects where you can uncover the darkest and bloodiest aspects of the Castle’s history including tales of terror, torture and injustice from 11am daily. If you’d rather a less intense experience the following are also available. Did you know you can also have a sleepover in the new Knight’s Village and the castle is open until 9pm (22-31 October). there’s even a special after dark entry price for just £14 per person. The new lodges have super modern facilities, such as a wet room and TV, alongside Mediaeval-style features that reflect the Castle’s exciting past. I would love to stay in one next year. Also, NEW FOR 2016 are disturbing encounters in Tormented: this attraction is for only the boldest and bravest. A troubled soul trapped with a fate far worse than death! 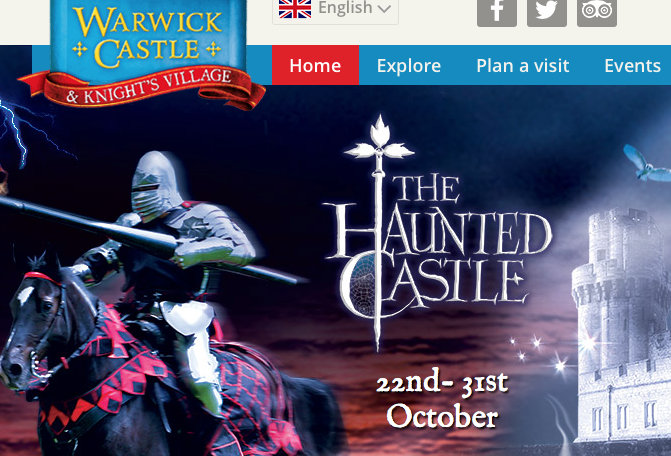 For more information and dates go to: www.warwick-castle.com. 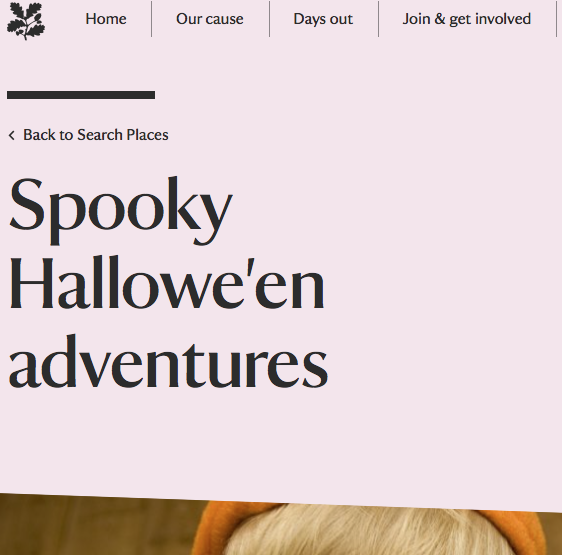 The National Trust have lots of brilliant Halloween activities on this half term. We might try the Halloween trail at Hinton Ampner or Basildon Park. Forestry Commission, England has some great autumn activity ideas available to download and giant weaving looms in selected forests that we might go to see as well. The Mummysphere recommends Howl-o-ween at Paradise Wildlife Park, we’re wishing we were nearer to this one. Having a party? Science Sparks have some amazing Halloween Party Ideas. Warwick Castle looks a lot of fun at this time of year. I think we’re going on a National Trust trail tomorrow. Cass Bailey recently posted..Mini Chicken Souvlaki Kebabs….